The turbo version of the Subaru Forester is sort of like the GMC Syclone of pick-up trucks. In 2004 when the turbo model debuted, car magazines were able to get jaw dropping 5.3 second 0-60 times and high 13 second 1/4 mile times out of this tall wagon. 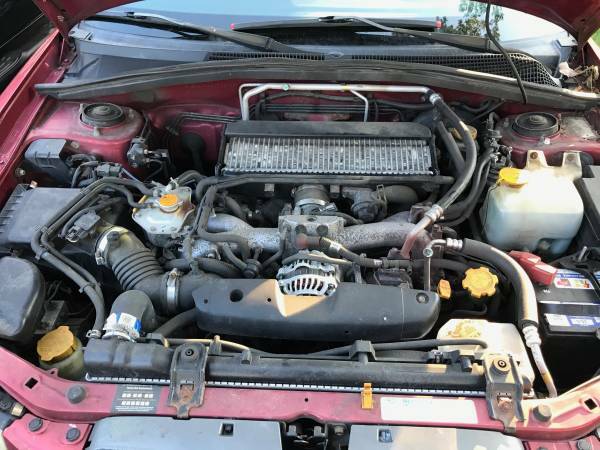 The 2004-05 turbo Foresters are blessed with super short 4.44:1 gears that along with the all wheel drive system and 2.5 liters of displacement really help the car at the local stop light Grand Prix. 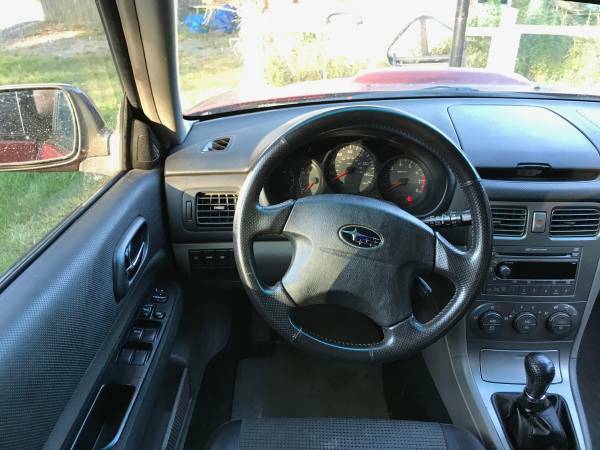 If you were a crafty Subaru second hand parts scavenger, it would not be difficult to make one of these at least on par with a WRX STI performance wise. 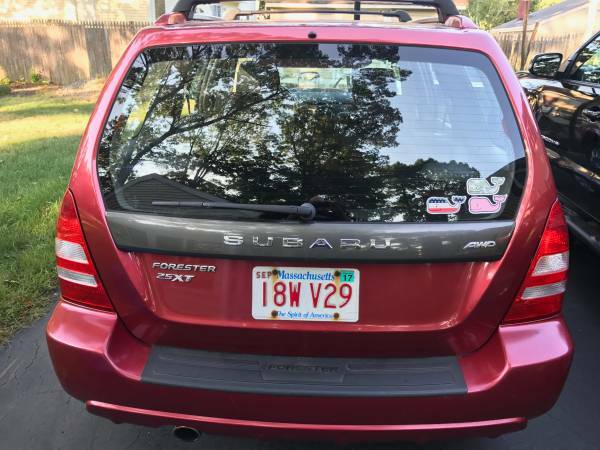 Find this 2004 Subaru Forester Turbo for sale in Billerica, MA for $7,500 via craigslist. 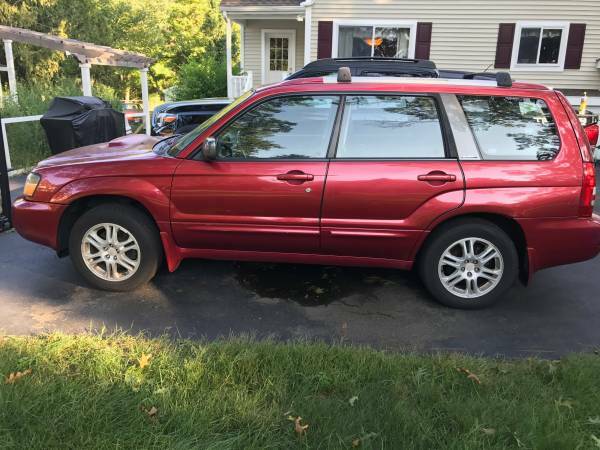 This 2004 Forester is a one owner car and has 112,000 miles on the odometer. The seller notes they have maintained the car very well and show pictures of services records dating back many years. A recent timing belt and clutch service are noted. The car is stock and has no modifications. The 2.5 engine is more or less the same as the WRX STI, but with a smaller IHI turbo charger. In the Forrester application, it put out 210 hp stock. The 3289 lb. curb weight of these is a lot less than any truck based SUV. Full disclosure: the Forester is owned by my sister. By some miracle of miracles, she actually took my advice years ago and bought this very rare car brand new. I need another car like I need a hole in my head so I volunteered to help her sell it. Cory is figuring out a way to pick up a set of rare Recaro seats three hours away over the weekend. Sorry I am not in the market. This looks like a well-preserved example, and it represents the sweet spot in utility vehicles for me. Recent clutch and timing belt replacements are a plus. Looks like a nice car at a fair price. The tough part would be deciding whether to keep it stock, lower it and hot rod the engine, or lift it and add skid plates and chunky tires for off road fun. Nothing makes me eschew claiming MA as my home state more than the rusty tears of the license plate screws in the picture above and the salt-lagmites growing on the intake manifold. I don't miss every nut, bolt and screw requiring a 30 minute soak of your favorite toxic stew before you give up and get the torch. Seriously. When we disassembled that '64 F250 at our shop a few weeks back, we only broke one bolt. So-Cal truck from new of course. Everything just came apart in a matter of hours. So nice. You couldn't pay me enough money to deal with a car from a state that uses salt.